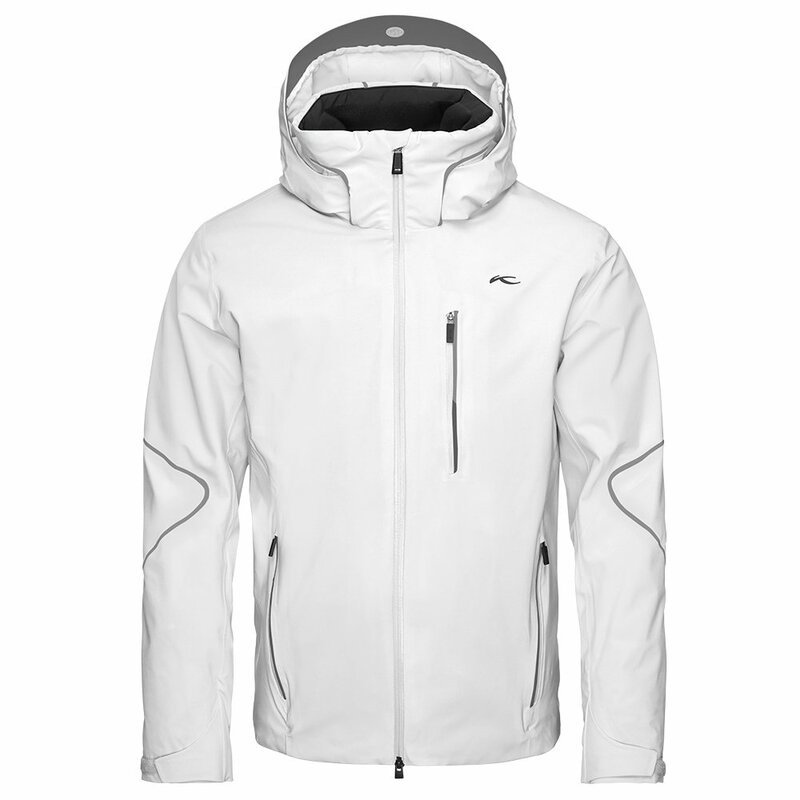 One of the most popular jackets from KJUS, the Men's Formula Ski Jacket offers a premium mix of materials, an articulated design and all-weather protection for all your alpine adventures. The weather's always changing on the mountain, so you want to come ready for anything. The Formula jacket greets the elements with a Dermizax® membrane-coated shell that's made with dual-layer stretch polyester fabric. It's lightweight and rated for 20K/20K waterproof protection, great for the most extreme conditions. Inside, a stretch lining offers a layer of stretchy, moisture-wicking comfort, and there's 60g of KJUS FAST Thermo insulation for lightweight, low-profile warmth. Together with the award-winning AC-Vent system, you're able to dial in a level of comfort that's personalized for your body's needs. The jacket also features a detachable hood, elastic snow gaiter and secure pockets that use industry-standard YKK® zippers.